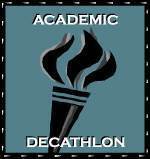 The Butte County Academic Decathlon will take place at Folsom High School in Folsom, California on February 2, 2019 from (7:30am – 4:00pm). The annual theme this year is “The 1960's: A Transformational Decade.”. A total of four high schools are scheduled to compete: Oroville High School, Las Plumas High School, Paradise High School, and Inspire School of Arts & Sciences. These teams are competing for an opportunity to advance to the California State competition March 22-23 in Sacramento and represent Butte County. This year due to the Camp Fire, the Butte County Academic Decathlon has partnered with Sacramento County Office of Education who have extended the invition to host Butte County schools at their annual event in Folsom, California. The Folsom Tourism Board has graciously donated 25 hotels to our students who are participating in this year’s Academic Decathlon. County winners and rankings will be announced at the Butte County Academic Awards Banquet on Monday, February 4, 2019 from 5:30-7:30PM at the Copa De Oro in Oroville, CA. This event is by invitation only. The Butte County Academic Decathlon, held the first Saturday in February of each year, is an academic competition open to high school students from all school districts in Butte County. This year we have 48 high school students and many volunteers who work behind the scenes. The Academic Decathlon is a team competition in academics for high school students in grades nine through twelve. Academic Decathletes compete in teams of six to nine students and involves students of all levels of academic achievement, to ensure that the program is inclusive of students of varying ability levels. Students will take a series of tests in the subjects of language & literature, math, art, music, science, social science, essay, speech, interview and economics. The competition ends with an oral Super Quiz, a fast-paced question and answer relay.